-Use FOSHttpCacheBundle user context feature instead. Will be removed in future 7.x FT release. I'm fine with this. I don't see any reason why layout should be used here. @webhdx Great! But since these are generic templates used basically everywhere, it should be fixed here too. @emodric But you pointed out AdminUI, not a frontend template. What other uses do you have? AdminUI was resolved in the given PR. 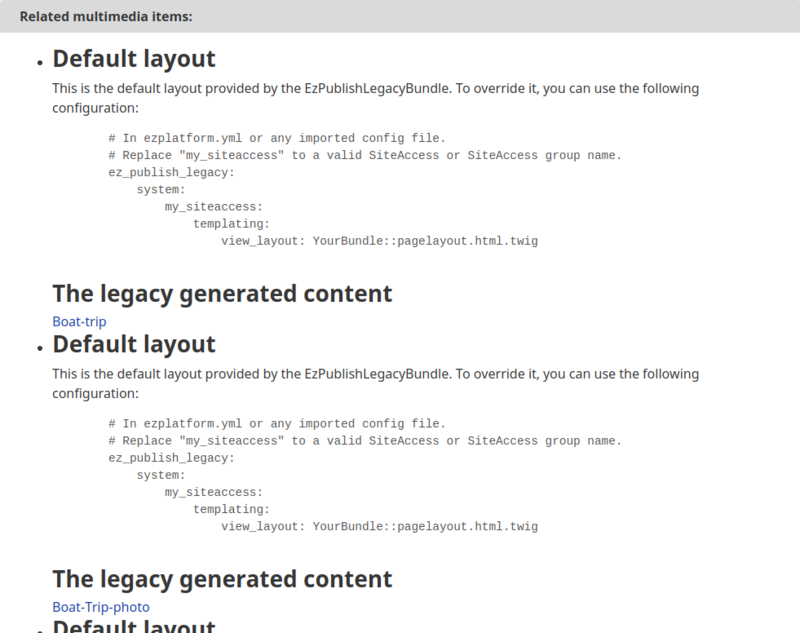 I pointed out admin ui specifically, because we have frontensld templates overriden with this fix. But the issue stands. Right not, those templates are a bit outdated to be honest. Fixing one, does not solve all problems we have here. I would rather fix all of them as part of bigger story for 7.1 kernel. The thing is, that we are very late in the process now. We are tagging final tomorrow. We can prioritise story for basic field types core templates for next release and include fix like this. Closing for now. We will get back to this change as part of bigger for story for core base templates. @emodric can you rebase on 7.2? @emodric Also seems change in fielddefinition_settings.html.twig is already covered in #1885, so maybe we can drop it here. 1885 affects (directly) 1.x, and has a jira issue specifically for it, so lower effort to separate them. As I can see now, this is a complete duplicate of #1885, because the same issue exists in 6.7/6.13 for both of the files changed here, only #1885 is not complete. We can close either of these. If we're going to use #1885, it needs an update to include other fixes. If we're going to use this one, it can maybe be rebased to 6.7/6.13? This one should be for 6.7 now as the other PR was closed, you fix @emodric ? 6.7 is fine ofcourse :) Rebased. @andrerom Better late than never :) Is it going to end up in 7.3 final?